Spell check website. If you have your own website and write articles who checks your spelling? Spelling and Grammar checking are essential when you write a article, bad spelling is a reflection on the author, and your site. 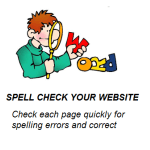 There are hundreds of free spell check website tools on the web to assist with spelling errors on your website. You should and must use some sort of spell check to find the spelling and grammars mistakes and correct any spelling mistakes on your website before readers see them when creating a website. Spell checking your website is important, having spelling error free articles is not only great for human readers it will also help the SEO for the page as Google robots and spiders can also see the errors and it will effect your general overall performance on rankings in the search results. Make sure you use some sort of spell check website tool. One of the best spelling check tools I have found is Respelt they have a free online spell checker that is easy to use no downloads. You can spell check your documents, web pages and even RSS feeds. Go to Respelt.com and place the URL you would like to check in the box, press check URL and in a few seconds the online spell check tool will check the complete spelling of the page, any errors will be underlined in red, it will then suggest the correct spelling. Now all you do is edit the mistake and republish your site and presto no spelling mistakes. Whats So Great About It? Its completely free. You can use it without signing in. But if you create a account you will be able to get your own personal dictionary that can be used to allow the online spell check tool to teach it that certain words that it says are incorrect are actually correct, like your website name it will store those words in your personal dictionary. Next if you have a RSS feed it will store the details of the feed and check your site or blog every day this means that every time you publish new content it will be checked for you automatically and notify you of any spelling errors if they exist by email. Google and your visitors will appreciate a website or blog that is free of spelling errors you may think that its a waste of time but sometimes its the small things that you do on your site that will make all the difference. Instant Eyedropper. If you design websites and have not used the instant eyedropper you are missing out on a great little Webmaster tool that can save you a lot of time. How do you get the color code from a image or picture on your screen? Do you take a screenshot then use a program like paint or Photoshop and use the eyedropper there to get the HTML Color code, stop wasting your time. There is a easier way and it takes a few seconds. With the instant eyedropper tool you will be able to get any color code from your computer screen. 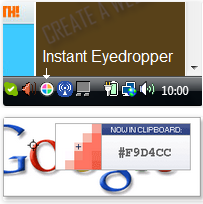 The Instant Eyedropper is a free software tool for Webmasters that will identify and automatically paste to the clipboard the HTML color code of any pixel on the screen with just a single mouse click. The Webmaster tool can be downloaded free and will be in your system tray when you need it hover over it, click and hold down the left button on your mouse. Then drag the dropper over the image on your screen to the colour you want and release, it will save the HTML colour code ready for you to paste it in your HTML code, matching the colour you have chosen. You might want to match a colour for your menu background colour, website background or just match a colour on your computer screen and you need the hex colour code to place in the HTML coding, using the instant eyedropper you will find it in a few seconds it’s a tool that will save you time and get the hex colour code from your screen, its free to use, all you have to do is download it and install it, its not a trial. Search Engine Ranking. 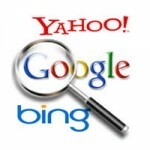 Have you submitted your site to search engines like Google, Yahoo, and Bing? It’s always a good idea to submit your site to search engines this way you let the search engine’s know that you have a new site and they will start to crawl your site and index it. Your site could be indexed from a few days to weeks and will take a lot longer to rank in the first few page’s of search results. Make sure you have a sitemap, good high quality content, backlink regularly, and blog as much as you can this will help your search engine ranking’s and in a few months your site could be climbing up in the search engine results. Don’t waste your time typing your keywords into search engine’s and looking page after page of results for your site this is a waste of your time. All you have to do is use the search engine ranking Webmaster tool to find the position of your site in a few seconds. Place your domain and keyword phrase in the search engine ranking tool and if your site is in the top few pages your website position will be shown. Don’t forget to add your site to Google Webmaster tools you can get lots of different results on your site’s performance, and also use the search queries to see your sites keyword phrase and the average position on Google for that keyword phrase. You can submit your site to lots of different search engines. By doing this you will alert search engines to your site’s existence and your site will be on a list of sites to be crawled this of course is no guarantee that your site will be indexed in search result’s. Search engine submission is quick to do and could speed the process along and hopefully one day your site will be on the first page of search results. Test Website Speed. How fast is your site? Why you ask? Did you know that the faster your site loads the higher it will rank in search engines and you will not lose impatient visitors. Do you wait for a site to load if it’s slow? Then why will visitors wait for your site to load? How is your bounce rate it could be high due to the fact that visitors are not waiting for your site to finish loading and they off to the next site. Each page on your site has the opportunity to rank on the first page of search results providing its well optimized for it’s keywords and load’s fast. 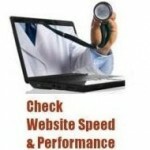 Test website speed on each page and from the results improve your website speed. If you are creating a website or have a website then make sure you test website speed on each web page if the page speed is fast well done, but if the results show you that your page speed is slow then rebuild the page and make it fast. Don’t worry when you test website speed the report will give you a breakdown of each item or object on your web page with the file size so you will know where to start and what to remove to make the web page faster, this Webmaster tool should be used on each web page. Before you remove anything write down your page speed then redo the test once you have made the change’s and see the difference. Be careful of how many image’s and the size of the image you have on a page. If you have more than two or three then think about removing some pictures. Do you really need so many images? Are your image’s the correct size, do not load a large picture then resize the picture using the image size in the code the picture will look smaller but the loading time will be for the larger picture, rather use the image resizer this will not only make the image smaller it will also reduce the image file size for faster loading. Then use the image optimizer to remove unnecessary bytes from the image file, reducing the image file size even more without effecting the image quality. Be careful how many Scripts you have running on the page when you make your own website this will also slow your page down. Backlink Checker. Find out how many backlinks your site has, when was the last backlink added to your site and lots more with the backlink checker. Backlinks are important for your SEO and you need to get some on a regular basis, also rather get a few good quality high authority backlinks rather than lots of low quality backlinks. Backlinks are a link from one site to another the more good quality backlinks that link to your site the stronger your site will get. Think of a backlink as a vote the more votes you get the better your site will do in search engines. When you backlink to another site’s, blog’s, forum’s etc. the URL that you use should have different anchor text in the title and should be the same as your main keyword phrases you are trying to rank the page for. The main keyword phrase should not be placed in the anchor text more than 15% use different keyword phrases that relate to your keywords for the balance of the anchor title’s. The trick is to build your website with a backlink network to your site that is natural. Find sites, forum’s and blogs and do your backlinks yourself. Try do a few extra backlinks than the previous month each time you build backlinks increasing your backlinks you build every month. Even use no follow links. Don’t use backlink software and be careful who you ask to build backlinks. If you want to get some free backlinks use the free backlink builder tool to find blogs, sites, and forums as the same topic as your site its quick and fast. Once you have found the site contact the site owner and exchange links with them and nine times out of ten they except because your site is the same topic as there site. There are free and paid sites on the net that are called free link submission and this Webmaster tool use those to give you over 300 free backlinks for your blog or site. Once a month you should check your complete site for broken or dead links and remove them as they can effect your SEO. Use a tool like the broken link checker. This Webmaster tool will scan your site and find broken links it will then give you the page they are on and the position making it easy to remove dead links. Web Page Analyzer. If you want to create a website and need help with your web page’s to see if they are over or under optimized then try the web page analyzer, its a free Webmaster tool that will analyzer web page’s for free. From the results you will be able to see how well the web page you test is optimized and improve your page. The web page analyzer runs a serious of tests. These tests are done on your keywords, meta tags, anchor text links, bold text, italic text, image alt tags and lots more. It even will give you the position of the page you are testing on Google if your page is in the first few page’s of search results. Its important not to over optimism your web page’s with your keywords and now you will be able to see how many times you have the keywords on the page and gives you the keyword percentage, from these results you can add more of the same keyword or remove some of the same keywords if you are over optimized. Its a lot harder to get on the first page of search results today and you need help. When you create a new page forget about cramming keywords on the page this will only damage the site. Select a good title and description for the page and make sure its what the page is about. Mention your main keywords a few times in your content and that’s all it needs. Google does not use the keyword tag anymore it’s the content on the web page that counts. Do not copy from other sites as if that content is already indexed then search engines have indexed it already and will know you copied it. If others copy your site and you the first to publish the content it’s fine, your site will rank for that content the other site will not. Use the web page analyzer to see how search engine’s see your page its like having a SEO expert advising you on each page you build, from the results improve your page if you need to. 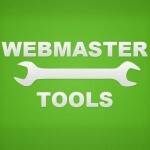 Webmaster Tools. When you make a website there are lots of Webmaster tools that will analyze your site and the page you are building and give you a report from the report you can improve your sites meta tags, headings and content. Each page that you build should be checked, its like having your own SEO team to guide and correct your mistakes, helping you build a better website. The SEO tools use the same techniques that Google and search engines use so you will be able to see how well your page is optimized for its keywords. This is just as important as having a nice looking page, maybe more important as if your page does not rank well in search engines then no one will visit your site. Each page on your site has the opportunity to rank for it’s keywords, remember this, take your time when you build a page, make sure its right use the Webmaster tools to help you analyze each new page you build and if you get a poor report do not leave it improve your page and then run the analysis again until you get it to the best you can. How do you find the best keywords for each page you make? Do you know how many visitors use those keywords in a month? Whats the point of ranking on the first page of Google for a search term that only 10 people a month use. There is a keyword tool that once you put a keyword in it will give you keyword suggestions and whats great is the Webmaster tool will also tell you how many visitors use that search term a month, now you will be able to set up your page for the keywords that are searched by thousands, and millions of visitors and if your page ranks get some of those visitors. How fast does your site load? The faster it loads the happier your visitors will be. Visitors don’t wait for sites to load, if it takes to long they move on to the next site. Search engines also rank slower loading pages below faster pages. Use the Webmaster tool to do a website speed test on your site from the results you will be able to see whats making your site slow and maybe remove some images or scripts from the page, maybe even remove some content from the page and use it on another page. This Webmaster tool will save you a lot of time. Place your URL and keyword phrase in the website position checker and it will tell you what position your site is, saving you doing a manual search page by page on Google. Make a note of your position and check it in two weeks time see if your position has changed. Once you know the position you can also search on Google for it and you will know where to find it, what page it is on in the search results. Damaged links can damage your site’s SEO use the broken link checker to find broken links on your site and remove them. The broken link checker will find the broken links and show you the page they are on and highlight the link on the page making it easy for you. All you have to do is remove it.